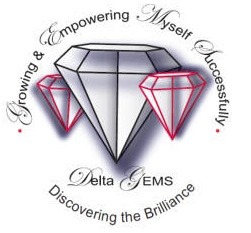 Delta G.E.M.S. was created to catch the dreams of African American at-risk, adolescent girls aged 14-18. Delta GEMS provides the frame work to actualize those dreams through the performance of specific tasks that develop a CAN DO attitude. The Augusta Alumnae Chapter of Delta Sigma Theta Sorority, Inc. mentors students through Delta GEMS in Richmond & Burke Counties of Georgia. GEMS, which stands for Growing & Empowering Myself Successfully, aims to capture the dreams of at risk girls ages 14-18 and help them make those dreams reality. During their off time, GEMS bond with one another developing sisterhood and life long friendships. We encourage the girls to do their best, ask questions and go above and beyond in all that they do.